Why it is mandatory to file Income Tax Return every year? Why it is mandatory file Income Tax Return even if your taxable income is below tax limit? Filing Income Tax Return is an important thing and as the date for filing ITR is approaching you should have a clear idea about how to file ITR. But is it mandatory to file Income Tax Return? 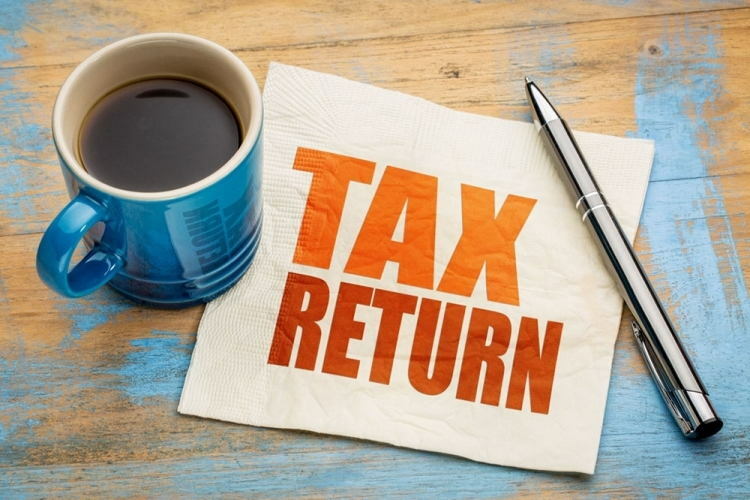 A lot of people are confused about this simple question of when to file your tax return, In this short article lets see what are the conditions under which you need to file your tax return. Who should file Income Tax Return? As per Indian Income Tax Act 139(1), it is mandatory to file Income Tax Return, for every individual who’s income exceeds the exemption level. People say that if you don’t have to pay tax , you don’t have to file returns which is not true totally. Lets see the simple rules. Rule : You have to file your tax returns if your Total Income for the year exceeds the exemptions limit. That’s it !! This is the only rule which applies. Exemption limit can be different for male (1.5 lacs), female (1.8 lacs) or senior citizen (2.25 lacs). So if your Total income for the year exceeds your exemption limit, you have to file tax. Do you know how to calculate your tax? Should I file Income Tax Return even if I don’t have to pay any tax? Didn’t you read what is said above :-). The only rule is already mentioned above. You don’t have to pay tax. This can happen in two cases. In this case you don’t pay tax and don’t file your Returns. Though your Income exceeds, but After all the exemptions and deductions like 80C investments, HRA, Home loan interest exemption etc etc, your taxable income is below your exemption limit. In this case you don’t have to pay tax, BUT !! you have to file tax returns because your income (not taxable income) was above the exemption limit. What are the other cases when I have to file the returns? If you have some form of losses carried forward in subsequent years to write off against profits in future, in that case its obvious, that you will have to file a return so that you can give this information. If Govt itself gives you notice to file tax return, it may happen that you are cheating this nation and making black money , then tax department can ask you for details and you will have to file tax return. If you want a Tax refund because of TDS (Tax deducted at Source by your company). This happens with people who do part time jobs for some months or with Interns in the company who are there for 3 months or 6 months and TDS is cut. So in order to get back the amount you have to file a tax return. Why is it necessary to file Income Tax Return? If you are planning to take loan in future, the lender may ask the proof of your ITR filing. The ITR filing proof is also essential to get VISA if you want to travel abroad. It is also important if you want to claim the adjustment against past losses. ITR report is provided by Income Tax departments, so if you file Income Tax Return regularly on time, it will make your future transactions easier without any complications. In some states, you can not but an immovable property if you don’t have the Income Tax Return filing proof. Besides all these reasons, filing Income Tax Return on time makes you a responsible citizen. I think it’s always good to file the returns. Btw nice article !! Yes.. filing returns have a lot of benefits like home loan or later when you are asked for scrutiny ! What is so awesome about terror attacks? You should remove that message and the link – its in bad taste. By “Awesome” I mean the way they have shown what all happened so beautifully . You dont come to know about things in so detail , so it was an appreciation for people who created it . It was not about the event and what happened , It was unfortunate ! I am a senior citizen. I own a self occupied house. My income is only from fixed deposit interest,equity dividends and total under the exemption limit. If I do not submit return now but some time later earn interest that takes me past the exemption limit can I resume tax return? I realise I may have to pay C.G tax if I sell some share under the DTcode; when is it getting activated? what will be the first year of assessment under this Direct Tax code? This is not clear to me if you need other detail. I understand DTC is coming into effect from April 2011. If I earn capital gain from selling more than 1-year old share during year April 2010-March 2011 do I have to pay CG tax under DTC? Only if your taxable income before the exemptions is above the limit , then you file the tax. DTC is not yet sure to come , if its passed by parliament only then it will come into effect and it looks not that easy to me , the first assessment year would be 2012 , means it will be applied on mar 2011- mar 2012 income . yeah you dont need to file your returns if your Taxable Income is less than the limits which attracts tax..
oops .. i dont know that . You need to find out that from some other source . Can you tell me what form I need to use to file returns for refund of TDS deducted during my internship. My internship was from July-Dec 2006 and I found out that the tax deducted from the stipend then can be refunded, only recently. Is is too late to claim a refund now ?